There’s no friend quite like a cat. 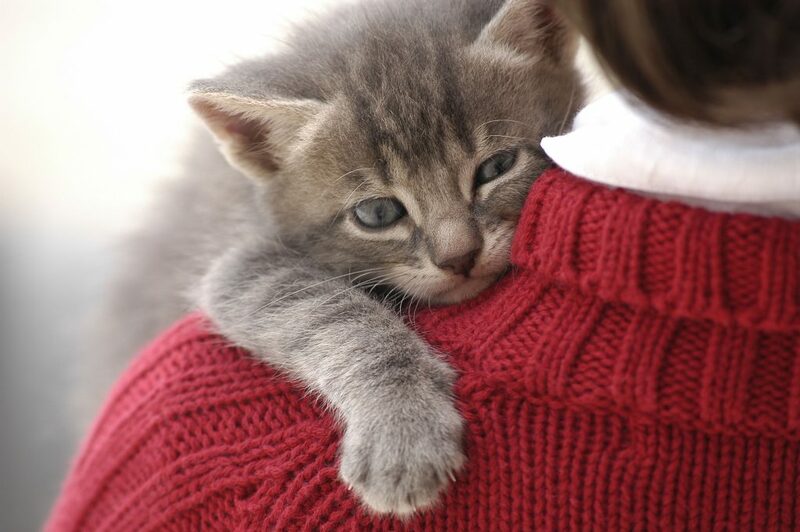 Whether they’re cozily curled up next to you in bed or courageously keeping your home free of mice, your cat’s presence has left a mark on you that will never be forgotten. 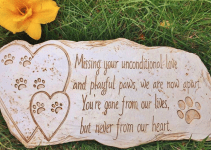 When dealing with your loss, you may find it comforting to have a reminder of your pet. Something tangible to keep close to you. A cat urn is a beautiful gesture. 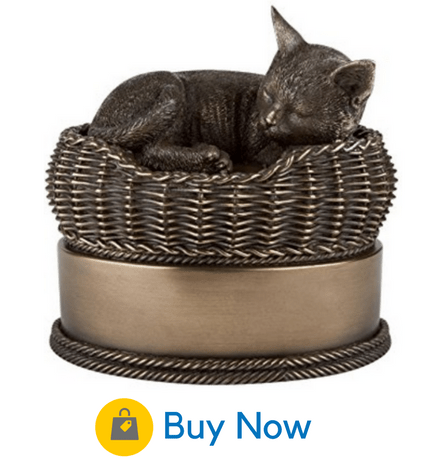 Cat urns come in a wide variety of materials, styles, and sizes. Below we’ll go through some of our favorite urns on the market. 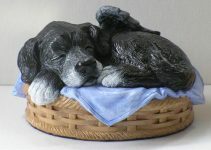 This cold-cast resin memorial displays a sweetly detailed sculpture of a cat sleeping peacefully on a basket. The cozy sculpture can be displayed in your home, giving comfort whenever it’s needed. The urn comes in black, bronze, and in two different shades of white, so you will have no trouble choosing a color that matches your cat or the decor of your home. The bottom panel can be unscrewed to hold the ashes and soft felt has been placed on the bottom to protect furniture. 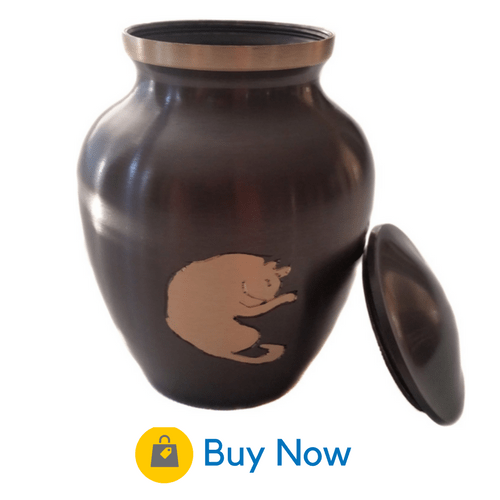 Not only does the urn look beautiful, it’s also durable and will last forever, just like the memory of your precious cat will. For more details, check out their store on Amazon. The Egyptians understood the sacredness of cats, and this majestic urn demonstrates that you feel the same way. 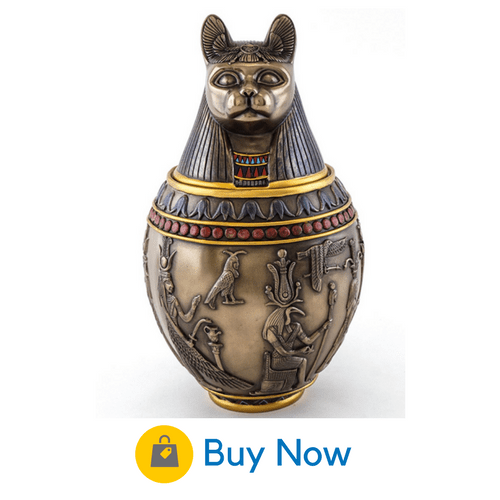 Your cat’s remains can rest in grandeur with this urn crafted in the shape of the Egyptian cat goddess Bastet. A full ten inches tall, this urn is large enough to represent the place your cat has in your heart. This is a stately and elegant urn that you can display with pride anywhere in your home. The lid is designed easy to seal with strong glue or adhesive to keep ashes secure. Find out more about this urn at Top Collection on Amazon. This beautiful urn comes in three colors (Black, Fawn, and Sable). It features a resin statue of a cat, in either a reclining or a sitting position. 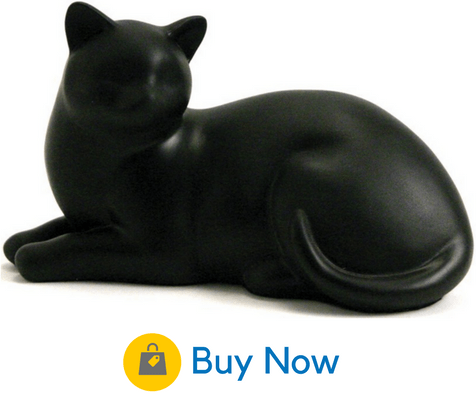 This statue is simple yet tasteful, and is a fitting way to honor your cat’s memory. A threaded plug at the bottom ensures that it closes securely. The bottom is felt-lined to rest on your furniture without causing damage. It comes with a convenient twist-top plastic bag for placing your cat’s ashes inside. The opening for placing ashes is small, so this is best done by placing the bag inside first and gently shaking your cat’s ashes into it. More details are available from their store on Amazon. 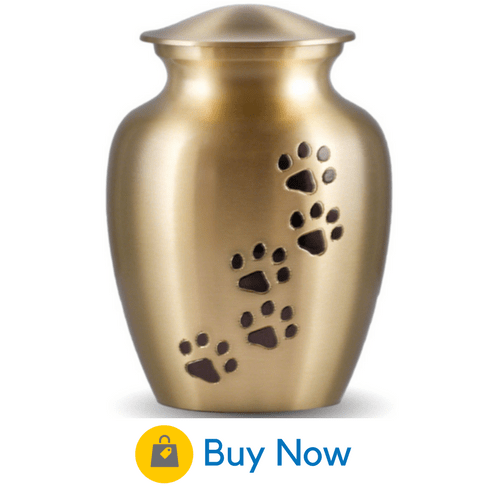 The brushed brass finish and hand-carved paw print design of this urn give your cat’s final resting place a look of classic elegance. It’s available in a variety of colors including Black, Brass, or White. You may choose paw prints in either a vertical or a horizontal design. The urn comes in five different sizes to accommodate any cat. A threaded screw top lid is easy to access, but also secure. As an added bonus, by purchasing this handmade urn you are supporting the work of artisans in India. Details are available from their at their Amazon store. 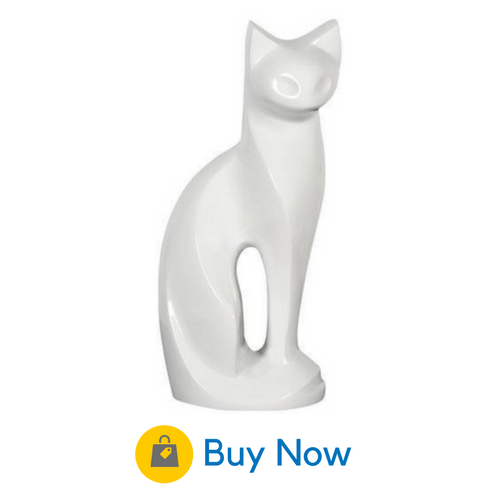 Crafted entirely in classy white bronze, this modern cat urn will look beautiful gracing your living room. Best for smaller cats, the urn has a volume of about 15 cubic inches. Although it appears delicate, in reality it’s very solid and will stand the test of time. A screw-top bottom panel provides a safe place for your cat’s ashes. More information can be found at the Amazon store here. This unique and elegant urn features a hand-etched engraving of a cat’s face. The urn is made entirely of solid, durable brass with a choice of Egyptian gold or black overlay. Each urn is slightly different, so you know that your cat’s resting place will not resemble anyone else’s. The soft velvet bag for your pet’s ashes will help you feel comforted that your cat is cozily surrounded by warmth. 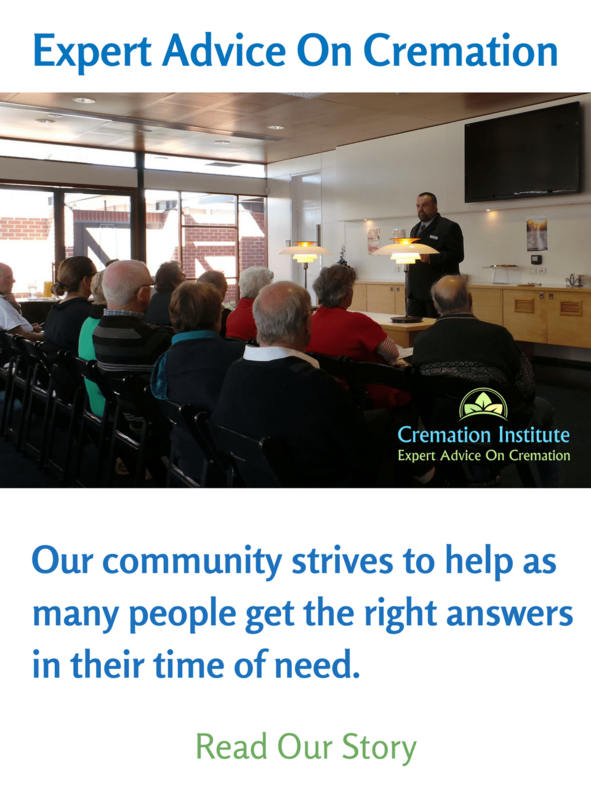 A threaded lid provides secure closure, and a felt base makes it possible to display the urn anywhere. This urn can be purchased at the Pet Memory Shop’s online store. This pewter urn is certain to stand the test of time. 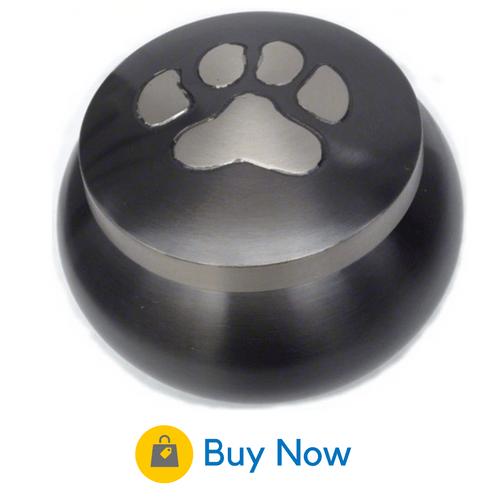 It has a wide, threaded lid that makes it easy to place your cat’s ashes inside, but is also sure to keep them safe. A brushed slate finish displays the outline of a cat peacefully curled up to sleep. The simple but beautiful look will do justice to your cat’s memory no matter where it’s displayed. It’s a medium urn that can fit a pet weighing up to 40 pounds. You can find this urn at the Restful Pet Urns store on Amazon. 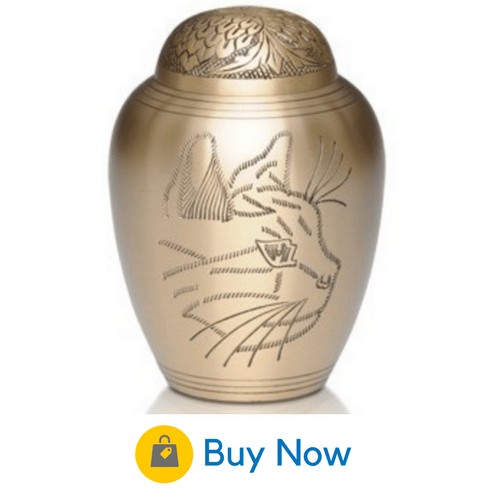 Crafted in sturdy brass and engraved by hand in India, this beautiful urn is a fitting way to honor your cat. The top of the urn displays a large paw print design. A vast color selection ranges from understated Slate to classic Pewter to ethereal White. You can easily choose a color that suits your cat’s personality and the specialness of your relationship. The urn can be engraved with details about your cat. Just take it to any engraving shop. You can find this urn at their store on Amazon.